Discussion in 'iPhone and iPad Games' started by Tosty, Mar 7, 2019. 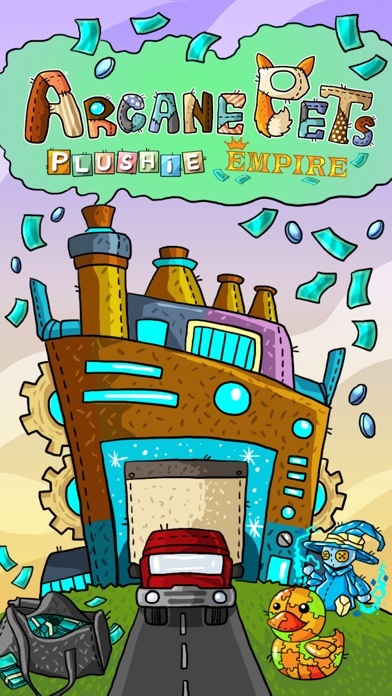 Arcane Pets introduces the sequel mini-game, Plushie Empire. Become an overnight entrepreneur and build your empire into a business tycoon. Rake in the Empire Coins and Empire Cash. Compete against a plethora of online players to become the RICHEST Empire out there. Swim in the Empire Cash and get EMPIRE-RICH. As a semi-idle game, your Empire will continuously sell the Plushies that you produce & ship. *Manage your materials wisely as the market prices fluctuate throughout the day. *Produce 4 different kinds of Plushies in your factory and make them available for sale in your store. 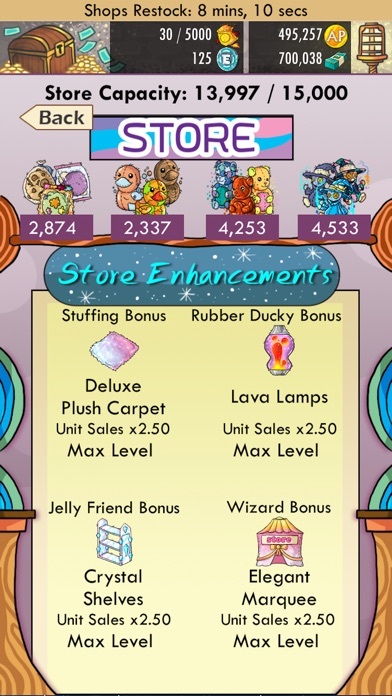 *Upgrade your store features to earn bonus sales multipliers for each of the types of Plushies you sell. 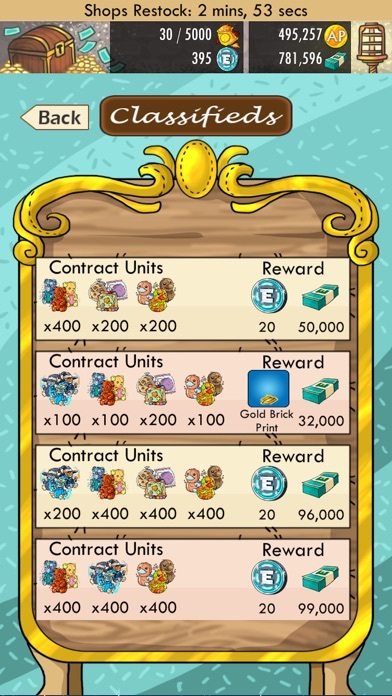 *Level up your factory, warehouse, and store for increased Empire Bonuses. 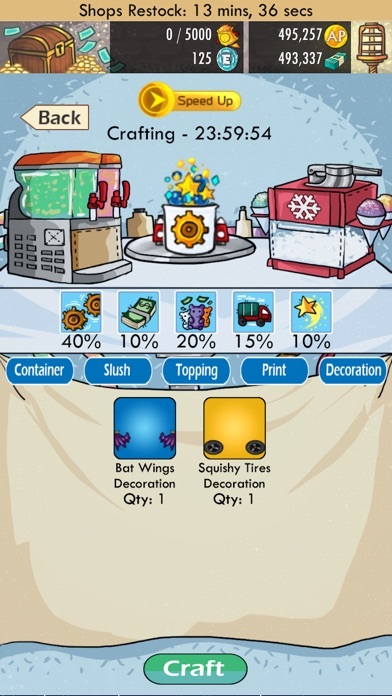 *Accumulate crafting parts to craft POWERFUL Empire (Slushie) Boosts. *Boost your empire to accumulate as much profit as you can. *Fill your classified contracts to reap in even BIGGER profits. 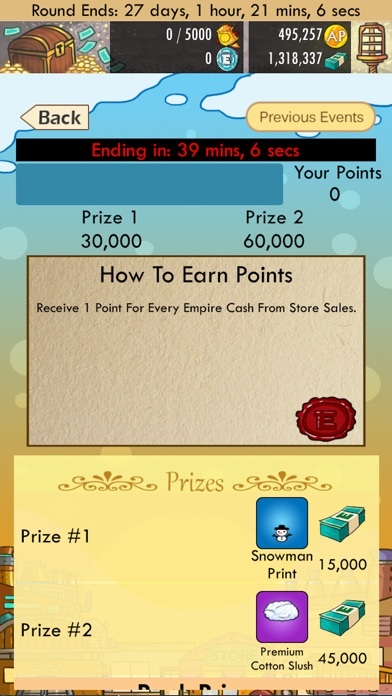 *Compete versus the other players/empires in Empire Events to achieve ASTRONOMICAL bonuses and RARE crafting parts. 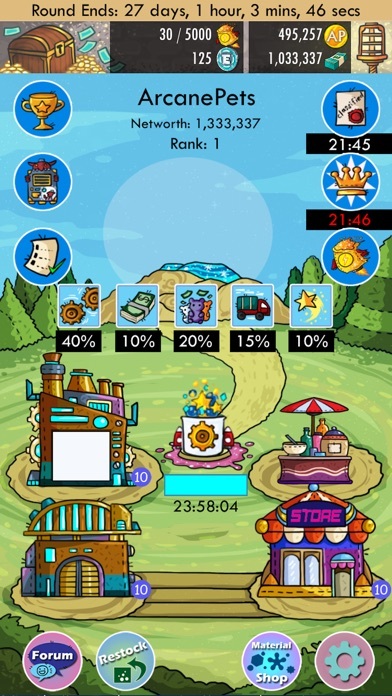 *Collect speed up items and Empire Coins to unlock COOL prizes in the prize shop. *Restock items in the Empire Shop to help you progress in the game! 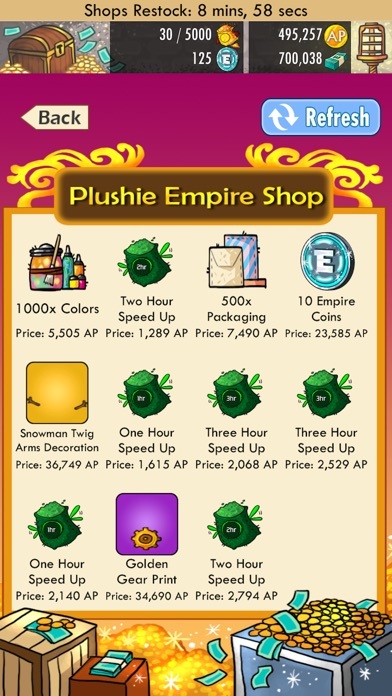 Arcane Pets introduces the sequel mini-game, Plushie Empire. Become an overnight entrepreneur and build your empire into a business tycoon. Rake in the Empire Coins and Empire Cash. Compete against a plethora of online players to become the RICHEST Empire out there. Swim in the Empire Cash and get EMPIRE-RICH. As a semi-idle game, your Empire will continuously sell the Plushies that you produce & ship. Key Features: *Manage your materials wisely as the market prices fluctuate throughout the day. *Produce 4 different kinds of Plushies in your factory and make them available for sale in your store. *Upgrade your store features to earn bonus sales multipliers for each of the types of Plushies you sell. *Level up your factory, warehouse, and store for increased Empire Bonuses. *Accumulate crafting parts to craft POWERFUL Empire (Slushie) Boosts. *Boost your empire to accumulate as much profit as you can. *Fill your classified contracts to reap in even BIGGER profits. *Compete versus the other players/empires in Empire Events to achieve ASTRONOMICAL bonuses and RARE crafting parts. *Collect speed up items and Empire Coins to unlock COOL prizes in the prize shop. *Restock items in the Empire Shop to help you progress in the game!